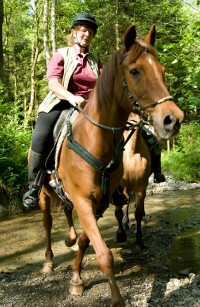 Crychan Forest Trails for walkers, cyclist, horse riders and carriage drivers. 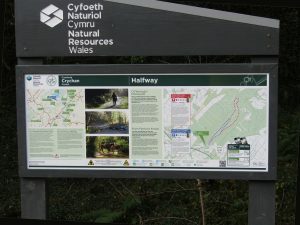 The Crychan Forest Association works with the Natural Resources Wales (formally Forestry Commission) to promote access to Crychan and Halfway Forests near Llandovery Carmarthenshire. South West Wales near the Brecon Beacons. We have installed nearly 200 numbered waymarker posts and published walking trails, family forestry cycle trails and horse riding trails. These individual trails with map are available to download from this website and a large leaflet/map is available at all the major forest car parks. 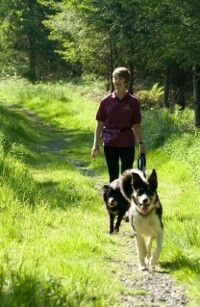 The trails are colour coded and waymarked with numbers and arrows. The new sign boards are in place at Halfway and the posts on the walking trail have been refreshed with new markers. The Nant y Dresglen Trail atRead full article. AGM to be held on Wednesday 11th July 2018 at 7:30 pm at Llandovery Station Cafe. Read full article. NRW have closed the Trail in Crychan at posts 179, 113 and 115 due to felling. This effects Horse Riding Trail 8 Cwar Cerrig the extension theRead full article. There are a large amount of windblown trees at the top of Halfway (near waymarker 144) blocking the trail. Just what we needed after Decembers storms! NRWRead full article. All the trails in Halfway Forest and the 2 small trails near Cefn Farm car park have been cleared of fallen trees and branches. Natural Resources WalesRead full article. 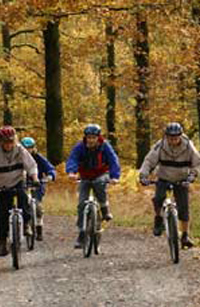 21st April 2019 Welsh Trail Riders Association www.wtra.co.uk Open access to the forest will be suspended during this motor sport event. 13th July 2019 www.nickygriststages.co.uk Open access to the forest will be suspended during this motor sport event. 17th & 18th August 2019 Welsh Trail Riders Association www.wtra.co.uk Open access to the forest will be suspended during this motor sport event.